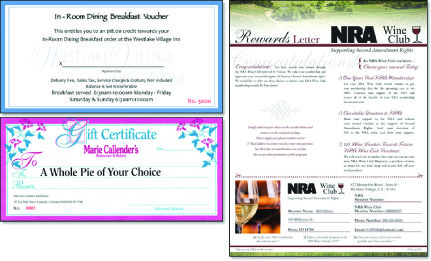 Whether you need a perforated coupon as part of your brochure, or a separate piece, we can help. We can produce basic black and white, full-color, and everything in between. Please Contact Us with any questions or submit an Estimate Request with the specifications for your job.